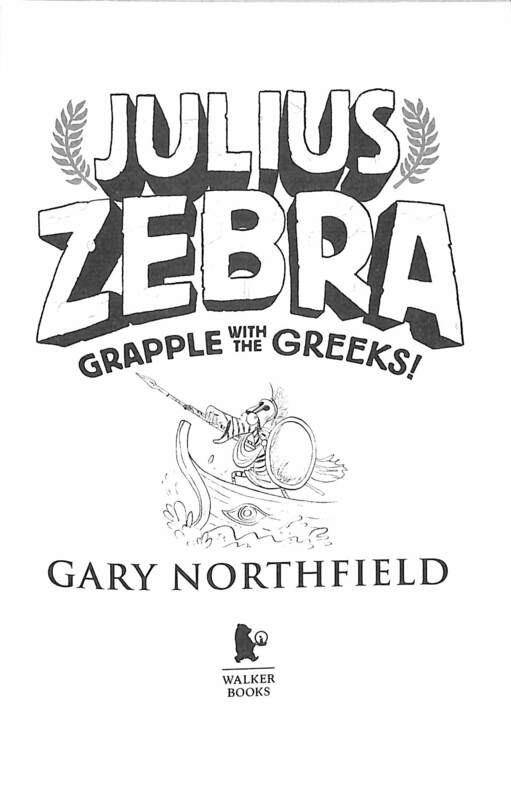 The fourth title in Gary Northfield's award-winning, action-packed and hysterically funny series brimming with entertaining Ancient Roman and Greek facts. 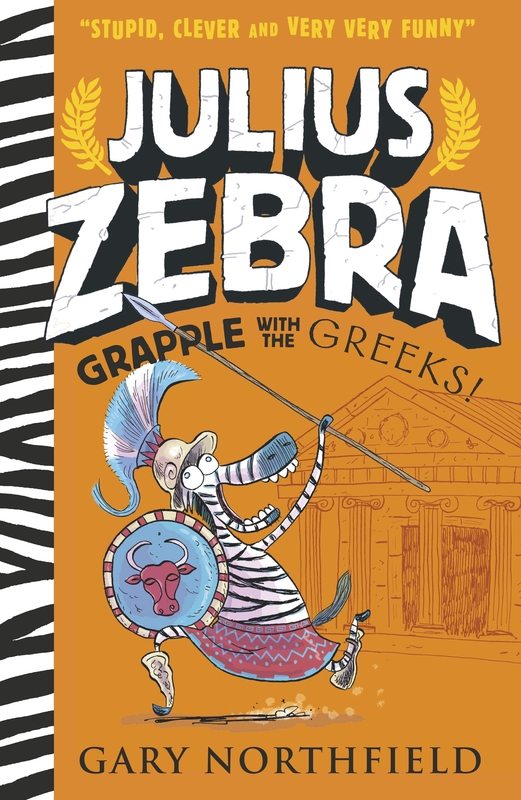 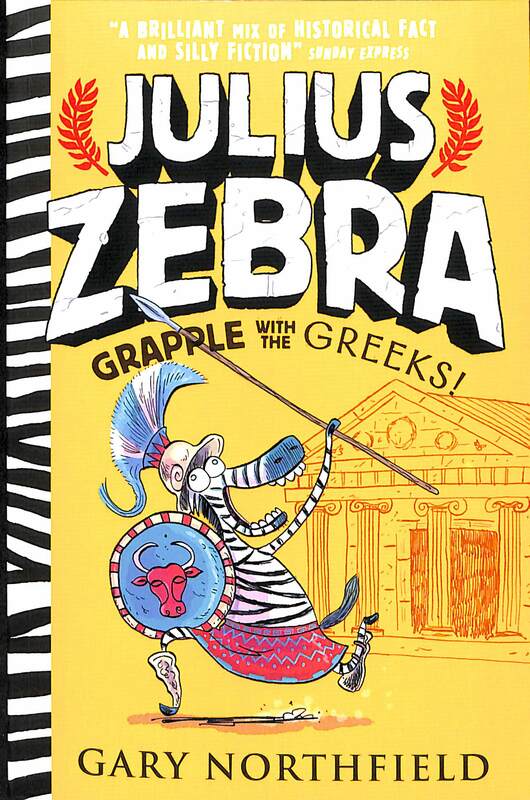 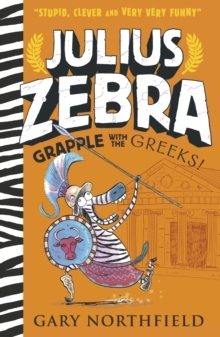 In the much-anticipated fourth Julius Zebra book, Grapple with the Greeks!, demi-god Heracles promises Julius and his chums a great reward if they can help him to find the lost Golden Apple. 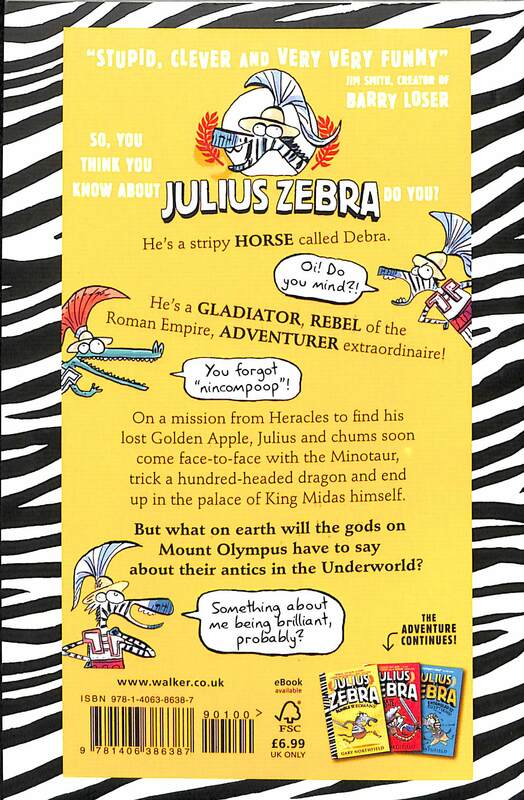 On this madcap new adventure, our unlikely heroes will confront the Minotaur in the labyrinth, trick a one-hundred-headed dragon at the Garden of Hesperides and, after a dramatic visit to King Midas, perform a daring rescue attempt in the depths of the Underworld. 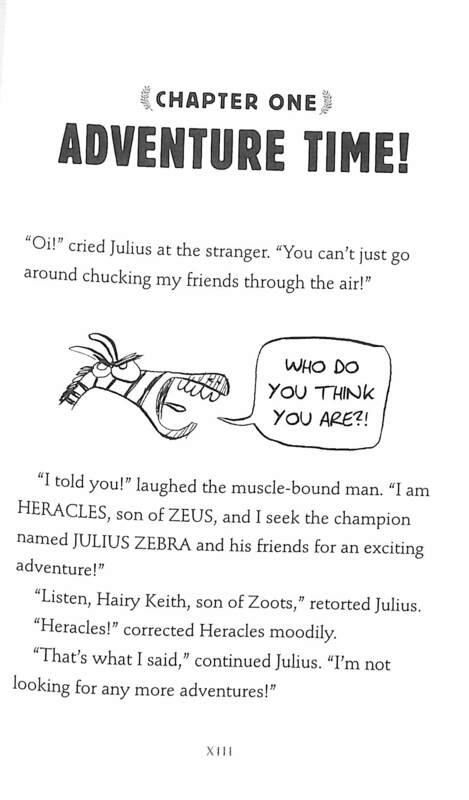 But what will the ever-watchful gods on Mount Olympus have to say about their antics?